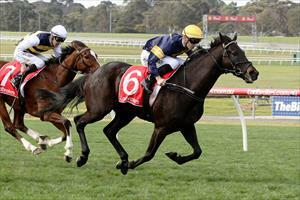 Mirimar is our runner on Saturday when he travels to Mornington. Mirimar is in race six, the Benchmark70 Handicap over 2400m with Patrick Moloney to ride and jumping from barrier three. The import finished third over 2400m at Bendigo at his last start and Mike Moroney has not had to be too hard on Mirimar at home. “We haven’t had to do a lot with him as he’s fit and well,” Moroney said. “It’s a strong race with the horse he finished behind last start engaged but we’re happy with our horse and from the draw he should be suited.